Before the Allegiance came Astridr, whose legend began long before her birth. When the imprisoned seer Sonja is liberated by thirteen Viking warriors, a storm takes the lives of her rescuers and she’s left dying and alone. The fae prince Hakon hears her cries—as does Freyja, goddess of the underworld, who arrives to negotiate for Sonja’s soul. In love and sacrifice, Sonja survives to bear a daughter, Astridr—while the bargain between the fae prince and the goddess lays the foundation for an immortal’s legend. 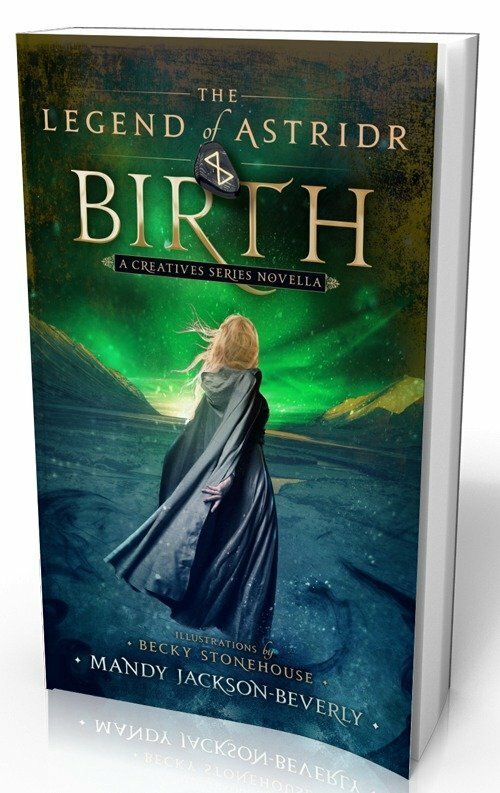 The Legend of Astridr: Birth began as a prologue to A Secret Muse, but I tucked it away for another day. A few months ago, I woke up in the middle of the night and felt compelled to get this story out. This novella is the first in a series, and one which the characters of The Creatives Series have encouraged (forced) me to write!